These oven-baked sweet potato fries are so fast and easy to make, that it is a miracle we don’t make them more often. With just a thin coating of olive oil, these fries are even healthy; high fiber, low fat and high vitamin A. When you bake them without peeling them, you’ll even have more fiber in your meal. I sprinkled them with some artisanal salts to add some heat. Like so many of you, I love potato fries, French fries, the ones that are baked well and crispy and I like them hot. I am not going to discuss where they got their name, because there are enough website who discuss that matter. For me French fries remind me of the ones you can get in Holland, the ones served with mayo, yes, we eat fries with mayo, not with ketchup, but with a rich dollop of mayo. 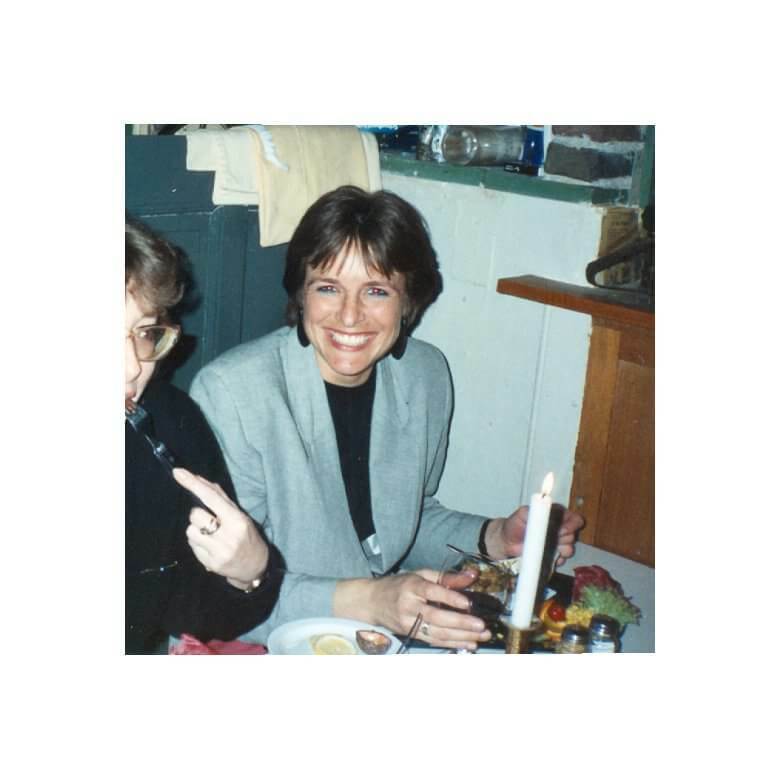 What I am going to tell you now, sounds most likely funny or weird; I studied nutrition in Amsterdam and was taking the train to school, together with many of my friends. On Fridays, we had a thing, we were passing by a snack bar and always bought French Fries with mayo and would eat it, while walking to the train station. Those French Fries were the best. This is not nostalgia, it is a fact. I know that the English often eat their fries with vinegar and in Belgium the fries are often less crisp, almost limp, well, we in Holland like our fries with mayo, traditionally. Of course many other toppings were introduced, like mayo, ketchup, mustard and chopped raw onion. I like it with just mayo. Now these Oven-baked Sweet Potato Fries, that’s a bunch of fries of a different kind. 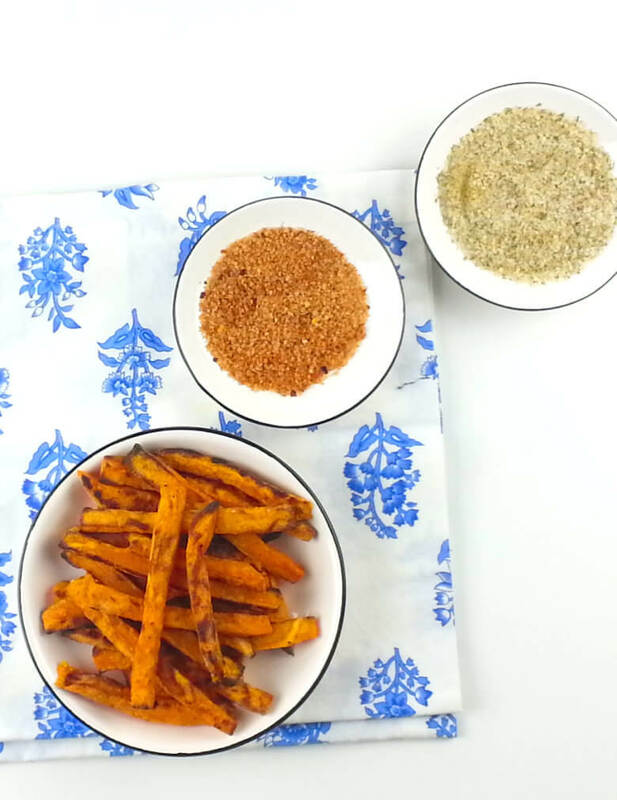 The preparation of these Oven-baked Sweet Potato Fries is overly simple. Peel the potato, cut it into fries, add a tablespoon of oil and coat the fries, then transfer them to a baking sheet and bake them in a hot oven (450 degrees F) for 30-45 minutes. Turn them midway the baking time. I sprinkled them with a mix of 2 salts, French Picnic Salt and Hot Steve Spicy Chili Salt. I believe that salting them afterwards gives a better result than salting them before you bake them and the salt is also crunchier. 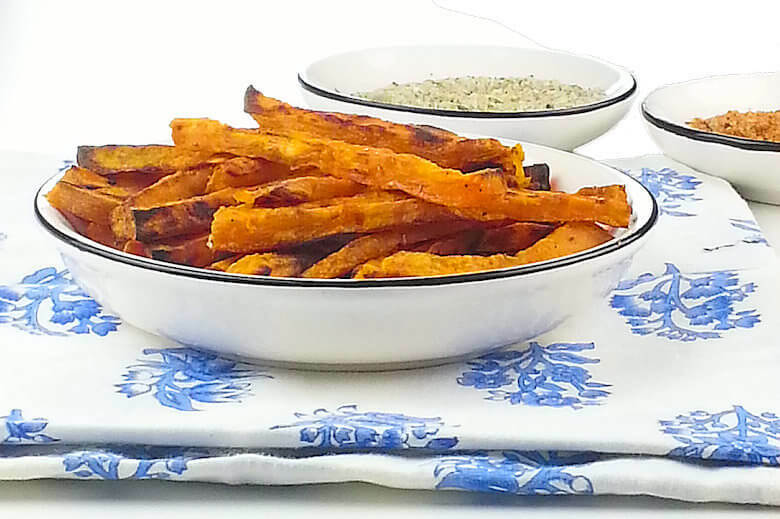 These oven-baked sweet potato fries are so fast and easy to make, that it is a miracle we don't make them more often. With just a thin coating of olive oil, these fries are even healthy; high fiber, low fat and high vitamin A. When you bake them with skin, you have even more fiber in your meal. I sprinkled them with some artisanal salts to add some heat. 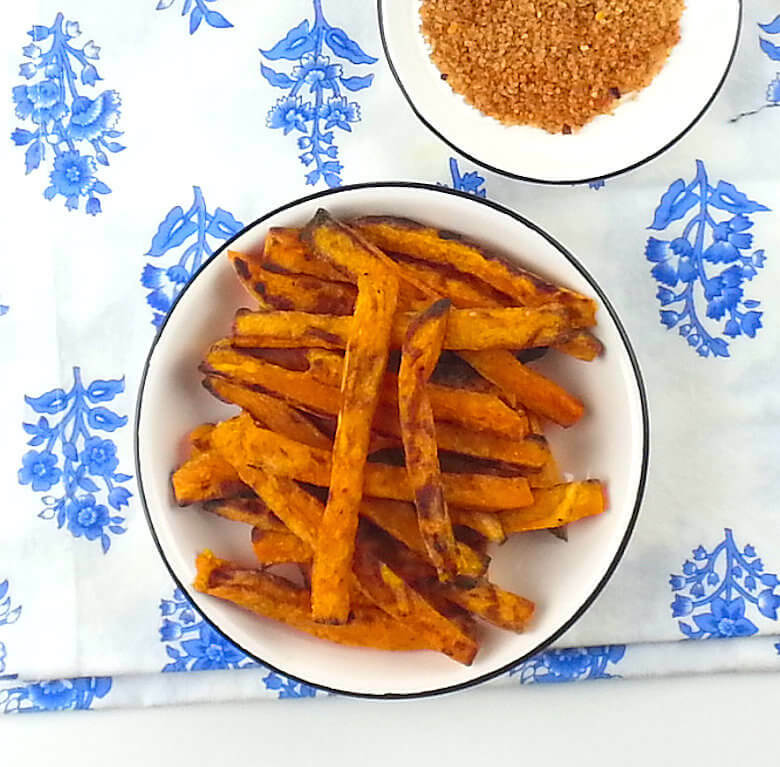 Peel the sweet potato and cut into sticks the size of your desired French Fries. Transfer fries to a bowl, add 1 tablespoon of olive oil and coat the French Fries with the oil. Place fries on the baking sheet and bake in the oven for 15 minutes. Turn the fries and bake again for 15 minutes. Depending on the size of your fries, you may need to adjust the baking time.